Commercial trucks continue to create major risks on our highways. According to data provided by the National Highway Traffic Safety Administration (NHTSA), approximately 100,000 Americans are seriously injured in large truck accidents each year. Simply to due the immense size of trucks, these accidents cause a disproportionate number of catastrophic injuries and highway fatalities. As such, it is of little surprise that the National Transportation Safety Board (NTSB) has included several points related to commercial trucking on its 2017-2018 Most Wanted Transportation Safety Improvements list. Driver fatigue is the primary cause in many auto accidents each year. When a driver is highly fatigued, they lose considerable reaction ability. Additionally, they also risk falling asleep behind the wheel. Put simply, driving while fatigued is dangerous. Of course, fatigued driving is an issue for all drivers, but it is a particularly big problem in the commercial trucking industry. Many companies put intense pressure on drivers to compete long runs and to spend a tremendous number of hours behind the wheel. While the Federal Motor Carrier Safety Administration already limits how many hours a commercial trucker can drive during certain time periods, the NTSB is seeking to expand verification technology that can ensure that this regulation is followed. More specifically, the NTSB would like to equip all commercial trucks with a mandatory e-log of driver hours to ensure full compliance. The simple fact is, a truck driver spending too many hours behind the wheel is violating safety regulations and is putting other drivers and passengers at a serious risk. If you believe that a fatigued trucker caused your accident, you need to speak to an experienced Tampa Bay trucking safety regulations attorney as soon as possible. Collectively, these safety technologies could help to significantly reduce the number of accidents. Of course, it will also take a considerable amount of time to implement these upgrades across all trucking fleets. The NTSB is hoping to find practical ways to speed up the implementation of these new technologies. Finally, the NTSB is also seeking to expand the use of software that will record accidents. Crash recording software is extremely important because it gives safety regulators a better understanding of exactly why an accident happened. With this information, regulators can analyze all collisions and determine what needs to be done in the future to help reduce the total number of wrecks. 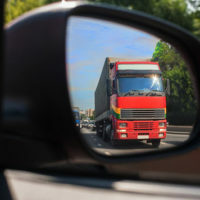 Were You Injured in a Florida Truck Accident? Please contact the truck accident lawyers at Pawlowski//Mastrilli Law Group for immediate legal assistance. Our team has extensive experience handling truck accident injury cases and we will fight aggressively on your behalf. You deserve compensation for the full extent of your damages. To request your free initial legal consultation, please call our Tampa Bay office today at (813) 242-4404.